America’s Riviera wouldn’t be known as such if it wasn’t situated on a gorgeous coastline with dreamy views of the Channel and its signature islands. 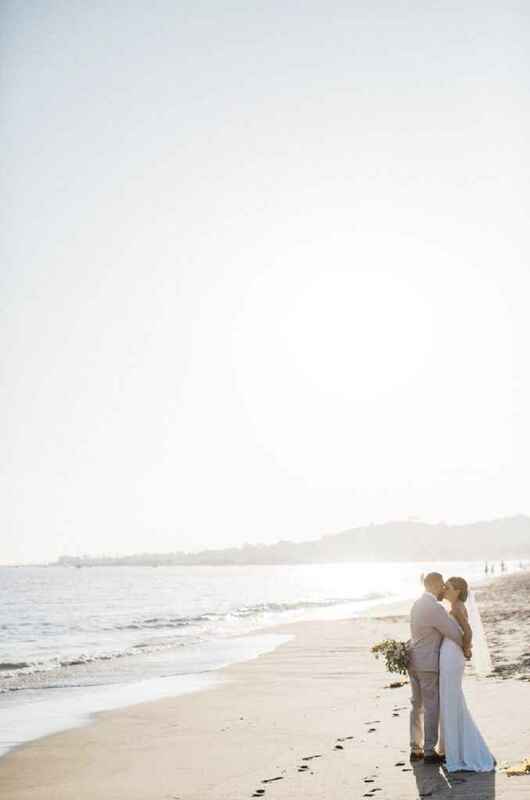 No wonder so many couples inquire about their dream beach wedding in Santa Barbara! There are very few places where you can get married right on the sand and then immediately enjoy dinner and dancing with ocean views within steps of where you married. 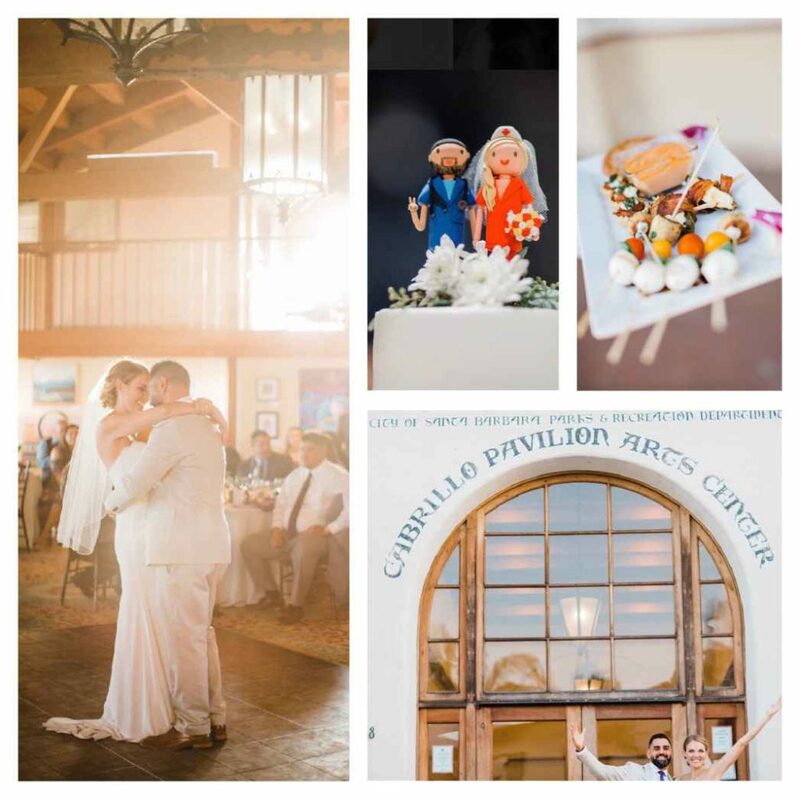 We love weddings at the Cabrillo Arts Pavilion for this very reason and it is an ideal Santa Barbara beach wedding locale. Medical professionals Kim and Rich chose a wedding menu that gave a nod to Santa Barbara’s rich Spanish heritage and delicious, fresh California cuisine, and it was such a pleasure to be their caterer for their wedding day.